Though it was Green Day who really revived the idea of the concept album with American Idiot, the undisputed champions of narrative-driven collections of music in the 21st century have been My Chemical Romance. Seemingly here to take that band’s place after its dissolution, Crown the Empire have crafted an entire science-fiction universe to set their songs in. Though it was established on debut full-length The Fallout, it’s only with latest opus The Resistance: Rise of the Runaways that their obvious ambition has been made clear. Appropriately titled first single and opener proper ‘Initiation’ serves as a bridge between the rather bog-standard, albeit theatrical melodic metalcore of previous works and their newly expanded vision, but from there things get considerably more interesting. Three shorter tracks separate the ‘Acts’ of the story, appropriately cinematic musical backdrops accompanied (aside from the big gang vocals on ‘Satellites’) by exposition dialogue. While these moments are a tad silly and do little but add to the narrative, the songs they bookend are far more enjoyable. ‘Millennia’ and ‘Machines’ are nothing less than arena-rock anthems, centring on choruses designed for thousands to scream along with and electrified by laser-precision lead guitar. The more melodic templates of several songs somewhat sideline unclean vocalist David Escamilla, but when he does appear he almost steals the show. ‘MNSTR’ may have an awful title and an intro that recalls Marilyn Manson a little too strongly, but Escamilla’s strikingly intense vocal take more than makes up for any deficiencies. Faster songs like ‘Rise of the Runaways’ and ‘Maniacal Me’ form an interesting parallel to the slower radio rock on ‘Second Thoughts’, the album’s concept tying the different sounds together. If anything, it’s moments like the one toward the end of ‘Maniacal Me’, when the band bring back the breakdowns, that they lose momentum. 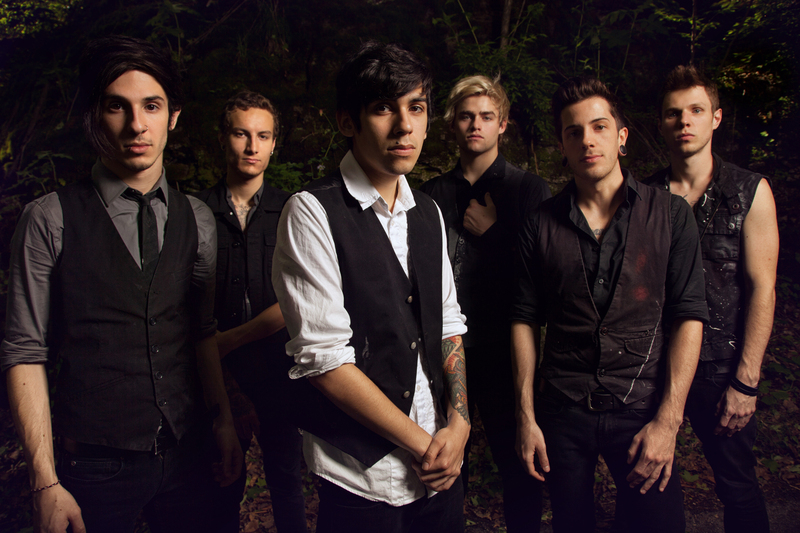 With a gift for memorable hooks and a densely layered sound, moving into a more traditional ‘rock’ direction makes sense for Crown the Empire, and a wholehearted commitment to this would have made for a better record. Lyrically, The Resistance does suffer from almost an overdose of imagination, the blockbuster movie flavouring sometimes leaving an overly cheesy taste. The band do at least provide enough in the way of emotional embellishment to make you care about the story’s protagonists in the same way you care about the Jesus of Suburbia or the Patient, and seeing the band throw themselves so wholeheartedly into what could be (and sometimes is) a mess is at the very least exciting. Only the last two tracks really buckle under the weight of what they need to carry, focus lost in a wandering and convoluted twelve minutes. Closer ‘Johnny’s Resistance’ is an intriguing expansion of the now trilogy, but doesn’t have the same carefree flair as its counterpart on The Fallout. Starting to realise the potential they’ve always shown, Crown the Empire have achieved a breakthrough of sorts with The Resistance: Rise of the Runaways. Graduating from the Panic! At the Disco-goes-metalcore naivety of their debut into a more interesting vehicle for dystopian fiction via the medium of hard rock, the remaining echo of what came before is what is now them holding back. Easily their biggest musical and conceptual achievement to date, they’ve finally carved their own identity and taken a big step up with this intriguing if flawed second full-length. as nobody else recognize such certain about my problem.